All cells in our body are constantly dividing to form new cells. Eventually these cells will age and die. Stem cells are your body’s natural healing cells and can act as the repair system in your body by regenerating the cells that make up tissues. Of all stem cell sources, harvesting fat cells involves the least risk and delivers a high yeild of stem cells per cc. Adipose tissue (fat cells) is also one of the richest sources of Mesenchymal cells, or MSCs. These are the cells that can differentiate into a variety of cell types including bone cells, cartilage, and connective tissues but they also have tremendous cellular activity and release potent growth factors. Recent advances in stem cell science have made it possible to obtain high numbers of quality multi-potent cells from a person’s own fat, harvested by liposuction. Stromal Vascular Fraction (SVF) is a state-of-the-art technology whereby fat is processed to yield up to 500 times the number of adult mesenchymal stem cells (per cc of fat) than can be yielded from bone marrow or blood. Typically there are approximately 1 million perivascular and mesenchymal stem cells per one cc of fat. The procedure entails performing a mini-liposuction (around 50 mL of fat tissue) typically from the abdomen, under local anesthesia. Perivascular and mesenchymal stem cells are extracted from the tissue, which are then incubated and deployed within ninety minutes or less. Under proprietary protocols, these stem cells are activated and deployed back into the patient where they secrete growth factors and paracrine effects leading to their regenerative potential. Clinical research suggests treatment success could be directly related to the quantity of stem cells deployed. The Regeneris protocol yields high viable cell counts which is critical to ensure the best outcome and result. Injections are administered directly into areas of concern (knee, spine, scalp, etc), or can be administered intravenously. Post-operative discomfort is minimal when followed by a minimal restriction on activity and a progressive therapy plan for recovery. Platelet activation plays a key role in the process of wound and soft tissue healing. In fact, your platelets are the “first responders” of wound care, initiating the critical cascade to healing Platelet Rich Plasma (PRP) raises the local concentration of platelets in the blood to above the baseline, and when activated, creates an environment which promotes healing of injured tendons, ligaments, muscles, and joints, and can be applied to various musculoskeletal problems. PRP injections are prepared from the patient’s own blood. Once prepared, the activated platelets are injected into the abnormal tissue, releasing growth factors that recruit and increase the proliferation of reparative cells. As early as the 1990s, PRP has been used in dental and plastic surgery. Several clinical studies have demonstrated that PRP injections have improved function and decreased pain to various levels of damage or degeneration, including elbow, wrist, shoulder, hip, knee, and ankle tendinosis. Early research is also showing promise for osteoarthritis. The side effects of PRP injections are very limited, as the procedure utilizes the patient’s own blood. Some relative rest is needed immediately following the procedure, and is usually followed by a progressive stretching and strengthening program. + How are the cells deployed into a patient? 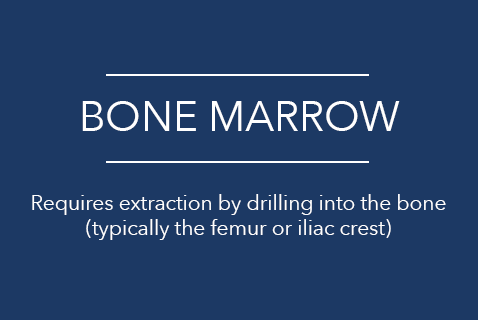 Theoretically, depending on the type of treatment required, stem cells can be injected through veins, arteries, into spinal fluid, subcutaneously, or directly into joints or organs. Regeneris however has taken precaution to research only the safest methods which include local deployment into a joint or tissue, or IV through a filter. Stem cells injected intravenously are known to “seek out and find” areas of tissue damage and migrate to that location thus potentially providing regenerative healing. Intravenously injected stem cells have also been shown to have the ability to cross the “blood-brain barrier” to enter the central nervous system and they can be identified in the patient’s body many months after deployment. More research is needed however to fully understand the systemic action of these cells. + How many injections are required for success? It has been reported that many patients, especially those with orthopedic conditions, require only one deployment for years of relief. Certain types of degenerative conditions, particularly autoimmune disease, may respond best to a series of stem cell deployments. The answers to timing and dosing are still considerations and areas for more research. + Are any biological agents or growth factors added to the stem cells? Our adipose derived stem cell harvesting and isolation technique yields exceedingly high numbers of stem cells. In reviewing outcomes data, treatment cell numbers appear to correlate with treatment success. Our cells are actually in a type of “soup” called Stromal Vascular Fraction (SVF), which are stem cells bathed in a rich mixture of natural growth factors. Some indications appear to respond better to stem cells that are super-enriched with growth factors created by administering Platelet Rich Plasma (PRP) to the patient. PRP is derived from a patient’s own blood. No foreign substances or medications are added to the stem cells. + What is the cost of consultation and treatment? Patients who are considered to be candidates based on information provided in the candidate application form will be invited for a consultation with one of our physicians. Unfortunately, insurance generally will not cover the actual cost of stem cell treatment since stem cell therapy is still in the investigational stages. The cost varies depending on the disease state being treated and which type of stem cell deployment is required. + What is included in the procedure cost? Because of recent innovations in technology, Regeneris Medical is able to provide outpatient stem cell treatment at a fraction of the cost of that seen in many overseas clinics. Our fees cover Stromal Vascular Fraction SVF harvesting, preparation, and deployment, which may include the use of advanced interventional radiology and fluoroscopy techniques. + How long until I can expect to see improvement? Different conditions are treated in different ways and there are different degrees of success. If the goal is regeneration of joint cartilage, one may not see expected results until several months after treatment. Some patients may not experience significant improvement and others may see dramatic regeneration of damaged tissue or resolution of disease. The regenerative process takes time, particularly with orthopedic patients, who may not see results for several months. In some diseases, more immediate responses are possible. Discoveries in recent years have suggested that these cells have the ability to differentiate into a variety of cell types including bone cells, cartilage, and connective tissues, but they also have tremendous cellular activity and release potent growth factors. This phenomenon is referred to as stem cell transdifferentiation or plasticity. Under investigational protocols, these cells can be deployed to treat a number of degenerative conditions and diseases.